The Asian Forum for Human Rights and Development (FORUM-ASIA) appeals to the National Human Rights Commission (NHRC) of India to urgently carry out an independent investigation into the arrests of five Dalit activists, Adv. Surendra Gadling, Sudhir Dhawale, Prof. Shoma Sena, Rona Wilson and Mahesh Raut, who were charged under the draconian Unlawful Activities Prevention Act (UAPA). In our opinion the Dalit activists were specifically targeted to undermine their legitimate human rights work. An independent investigation by the NHRC would be no less than appropriate and would fall within your mandate of protecting and promoting human rights. The five activists were arrested on 6 June 2018 by the Pune and Maharashtra Police. These arrests were made in Mumbai, Nagpur and Delhi and were related to a clash between people belonging to dominant and marginalised castes in Bhima Koregaon of Maharashtra State in January 2018. A Sessions Court remanded them on 7 June to police custody till 14 June and then on 14 June till 21 June. All of them are now in judicial custody after the hearing on June 21. A next hearing is scheduled on 4 July 2018. In an effort to justify the arrests, the Maharashtra police have called the activists ‘urban Maoist operatives’, a legally non-existent term which cannot be the basis for charge. They are prominent human rights defenders with a long association with various social movements. They have a long track-record of social activism promoting issues such as: human rights; democracy; civil liberties; and the rights of Dalits and other marginalised communities. The Pune Police, during a court hearing on 8 June, put forward an email, which it claimed was retrieved from one of the activists. Allegedly, it referenced plans to assassinate Prime Minister Narendra Modi in ‘another Rajiv Gandhi type incident’ by ‘targeting his road shows.’ Police did not produce any evidence of the authenticity of the email, and the allegation was not even included in the original arrest charges. Previously, on 17 April 2018, Pune police personnel conducted simultaneous searches of the homes of several prominent Dalit activists across Maharashtra, including of Sudhir Dhavale, Shoma Sen, and Surendra Gadling. A team of Pune police personnel, led by Deputy Commissioner of Police, Pravin Munde also conducted simultaneous searches of Rona Wilson’s residence in Delhi and his house in Nagpur. The raids and searches of the homes of the activists on 17 April 2018 and their arrests on 6 June 2018, indicate that the charges are politically motivated and are apparently aimed at deterring other human rights organisations and activists from continuing to demand the arrest of the leaders of the Sangh Parivar organisations, who are held responsible for the violence on 1 January. The detention of the activists has been justified by invoking the UAPA that includes several draconian provisions, including detention without filing of a charge-sheet for up to 180 days. Such detention constitutes the blatant violation of their fundamental rights guaranteed under Articles 14, 19 and 21 of the Indian Constitution. It also violates their right to freedom from arbitrary detention and of a fair trial, as well as other rights guaranteed by international human rights law. 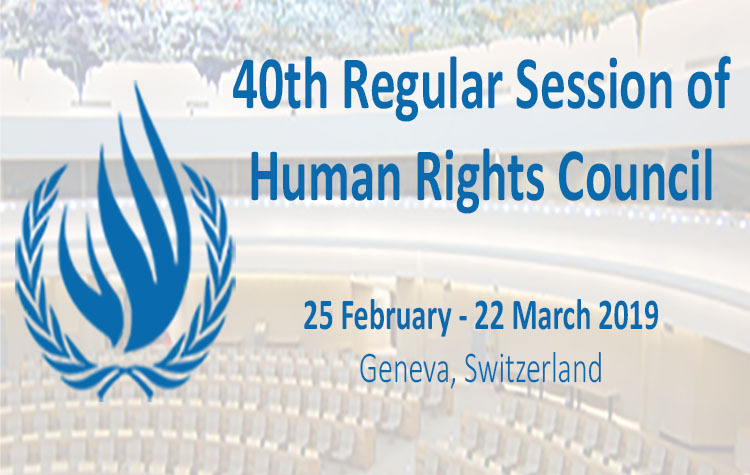 The NHRC of India, which holds an ‘A’ status, granted by the Global Alliance of National Human Rights Institutions (GANHRI) Sub-Committee on Accreditation, has the mandate to independently consider any human rights question, hear any individual, including representatives of government agencies, and obtain any information or any document necessary for assessing the situation. It also has the mandate to conduct on-site investigations as necessary, including visiting places of detention without notice. Recommend the repeal of draconian laws, like UAPA that deny fair trials and fundamental rights within the criminal justice system. Surendra Gadling, Lawyer and General Secretary of the Indian Association of People’s Lawyers (IAPL). For a PDF version of this letter, please click here.